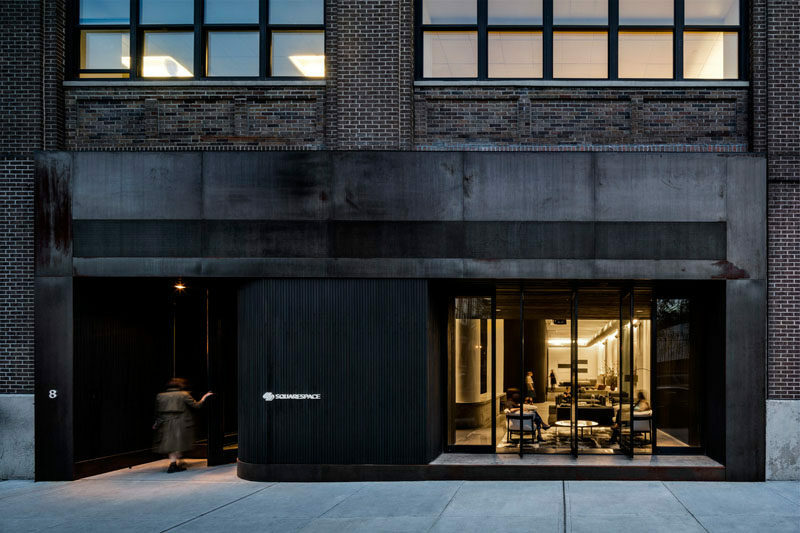 Design firm A+I have recently completed the new Squarespace head office in New York that also has a rooftop deck. 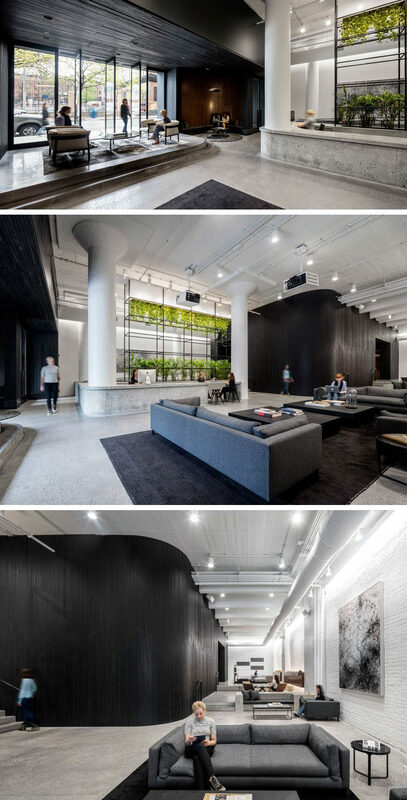 Inside, you walk into the lobby that’s home to a concrete reception desk and large double-height ceilings. There’s plenty of seating and the lobby can also double as an event space. 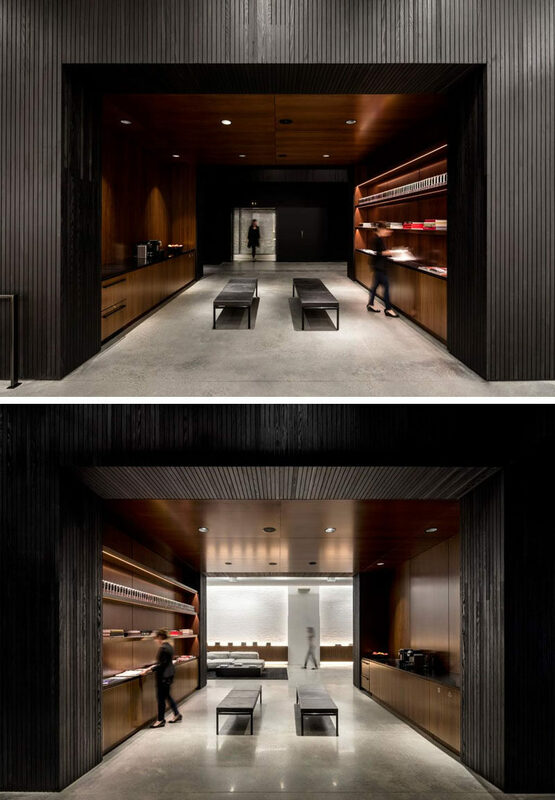 Just off the lobby and hidden within a blackened wood wall is a self-serve coffee area. The head office replaces four other offices that were all spread. This new office has become home to 322 employees. The second floor space has a common area for working on joint projects, and large windows that fill the various floors with light. 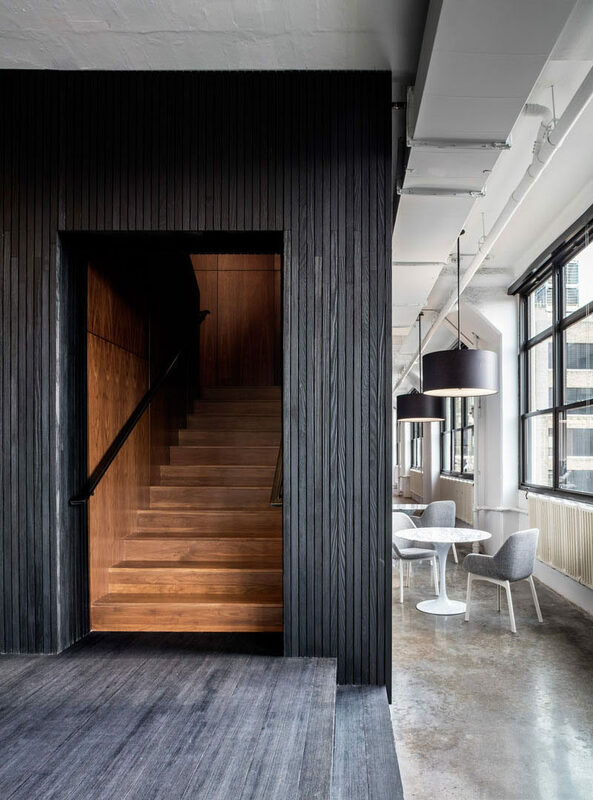 Polished concrete floors have been used throughout the office, and wide staircases help to keep the various levels of the office open and connected. Here’s a look at some of the various work spaces, there’s curved tinted glass areas with custom curved seating, meeting rooms and plenty of desks. There’s also a cafeteria with curved concrete bars and a dramatic black ceiling. 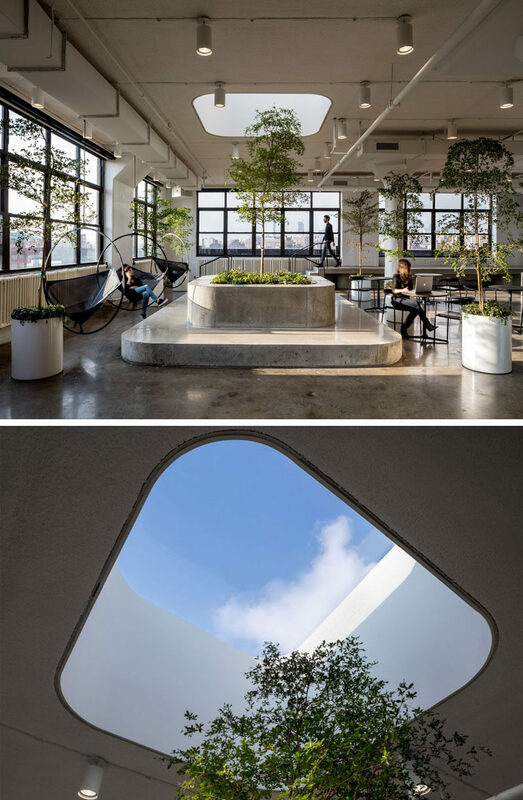 Touches of nature, like trees, have been added to the space, which help to soften up the hardness of the concrete. 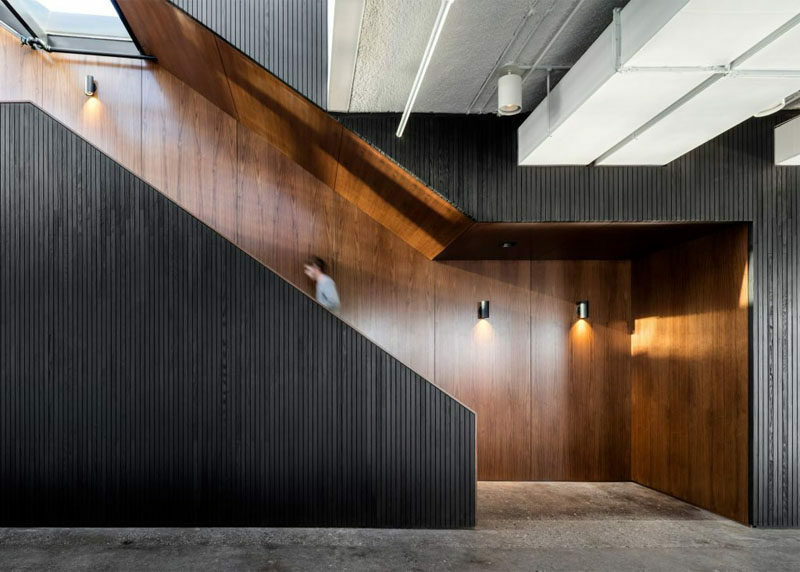 Dark walnut wood treatments line the wall and provide a contrast to the blackened wood. 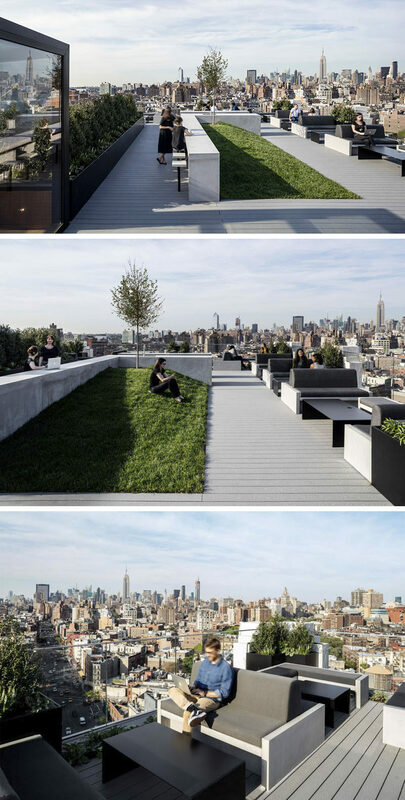 On the roof, there’s an amazing view of New York City, plenty of seats and a small grassy hill for a more relaxed break time.